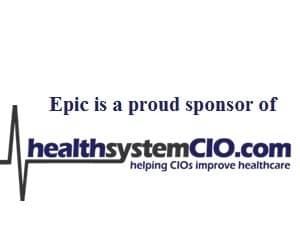 Last month, Bill Russell wrote an excellent piece entitled, ‘Cut Your Healthcare IT Budget for Tomorrow, Today,’ for healthsystemcio.com. That piece caused me to reflect on the budgeting approach our team developed during my time as CIO/CMIO for Baptist Health in Kentucky and Indiana. 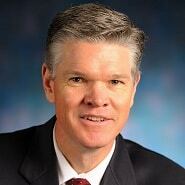 I spent 16 years practicing primary care internal medicine, learning about practice finances and budget processes, then seven and a half years as Executive Director for Physician Services for a region of our hospital system, where I focused on developing business plans, recruiting staff, and managing budget for primary care and specialty practices, the hospitalist service, urgent care sites, and retail clinics. Toward the end of that role, I completed my MBA. None of that adequately prepared me for budgeting for and managing the budget of an information technology (IT) division of the 7-hospital system, which included 2,300 beds and 240 ambulatory sites. The number of variables and opportunities for others to place unanticipated demands on your budget is infinite! Every executive, physician, nurse, staff member, and patient is your customer, each with their unique expectations and demands. Anticipating and responding to all these needs is your responsibility and privilege as CIO. Budget season should not be a trauma, if your team lives the daily budget disciplines. The annual budget should form organically as your team updates their current activities with known and planned projects and growth for the coming year. Your credibility with the Board depends on not adding “fudge factor,” but honestly representing what you will need to do and what you can anticipate. Unanticipated needs will need to be offset by opportunities for deletions and savings as you follow the disciplines. Once approved, the annual budget is reviewed with the entire IT team by the CIO, then discussed in detail by executive directors and directors with their direct reports. Once all questions are answered and points of confusion are clarified, the entire team commits formally and fully to executing the budget. Contract management is critical to living within the budget. A minimum requirement is that all contracts are catalogued (responsible party, term, cost, renewal dates, notification requirements, etc.) and monitored centrally. The contract manager provides managers and directors with notification of contracts requiring review on at least a quarterly basis. The review addresses continued need, opportunities for renegotiation, and adherence by both parties to deliverables. Personnel expenses are still the lion’s share of healthcare budgets, and IT is not exempt, and so a disciplined cadence of review and management of both employed and contracted personnel is needed. Managers need to be provided their personnel expenses on a bi-weekly basis, to review for variances and opportunities for efficiencies. Adverse variances require a corrective response within three business days. Favorable variances need to be assessed for opportunity for persistence and plans to enable this just as quickly. Application portfolios are addressed in the annual budget process, but this does not eliminate the obligation to reassess on at least a quarterly basis. Software products may be fought for by individuals in the system, but if monitoring indicates lack of use, the opportunity to remove the product and its attendant costs must be revisited. Infrastructure also is not static within a budget cycle. In addition to the minimum requirements of defined refresh cycles and rational buy vs lease decision processes for hardware, IT leadership must continually assess hardware needs and eliminate excessive redundancies (i.e., spinning down servers as applications migrate to the cloud or are decommissioned). Savings must be tracked carefully and reported transparently; no hiding for a rainy day. The C-Suite and Board will more favorably view and respond to a mid-cycle funding request if they have seen your discipline and experienced your transparency. Leading by example, while my last point, is my key point. Creating and sharing a vision for your IT department extends to budget management. You do not have to be threadbare to get the point of responsible stewardship across, but it is important that your team sees your commitment to the daily disciplines. I have yet to meet a CIO (or any C-Suite Executive) who needs the latest smartphone, newest, lightest, and most powerful laptop, etc. to successfully do their job. We make calls, work email, review PowerPoints, and participate in webinars. We don’t generally write code, create algorithms for AI, or develop graphics, so we can function very well with last year’s models rather than the latest “bright and shiny.” This sends a message, not just to our team, but to our peers and our leaders. Exercising daily budget disciplines will leave you and your team fit for the annual budget marathon, and put you in the position to find the five percent reduction that Bill Russell mentioned in his piece. It will also cause your process to continually evolve so future changes are taken in stride rather than tripping you up.